NASHVILLE — It takes a while for some semblance of normalcy to return after a trauma as major as the death of a teammate. So it’s understandable that a cloud hung over the Vanderbilt program last fall, as players and coaches continued to cope with the passing of Donny Everett the previous June. Injuries even conspired to cause Vandy to cancel its annual fall world series in 2016 — it was an abnormal fall in every way. By the end of the spring, the Commodores had begun to find themselves again, and they played with confidence in the postseason, winning the Clemson Regional as a No. 2 seed before falling at Oregon State in supers. This fall, there has been a much more positive — and normal — “vibe” around the program, as Vandy baseball first lady Maggie Corbin said after watching the team’s fall world series finale last week. “I thought when they left after 2016, there was really no time to be together as a team, and I think when they got back, we were going through the mourning period of what had happened, so it was cloudy for a while, so it took some time that way,” Vanderbilt head coach Tim Corbin said. “…It’s been good (this fall). It’s been very enjoyable, and I told them that. They’ve been good to be around. And you hope in a training environment that that’s what you have. You hope you have an alert team, you hope you have a team that gets to the field and wants to play, is eager to play, does things right. We’ve been in that position. I haven’t gone back to my office after a workout and said, ‘This stinks.’ It’s been better than average every time. Now, we still might not be worth a damn, but at least the training environment is good, and that goes a long way. Any team we’ve had that has played somewhat consistent baseball has been pretty good on the days in between the games, and we’ve talked a lot about that too. 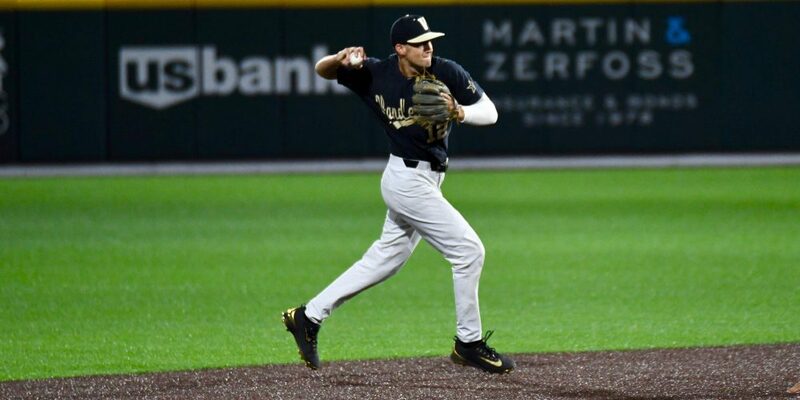 Mainstays Will Toffey, Jeren Kendall, Jason Delay, Kyle Wright and Matt Ruppenthal are gone, but Vanderbilt returns a strong core of juniors who have embraced leadership roles — and the additions of former Vandy players Mike Baxter and David Macias have made a big difference too. They have instant credibility with the current players, and they’ve taken some pressure off Corbin and pitching coach Scott Brown, according to Corbin.